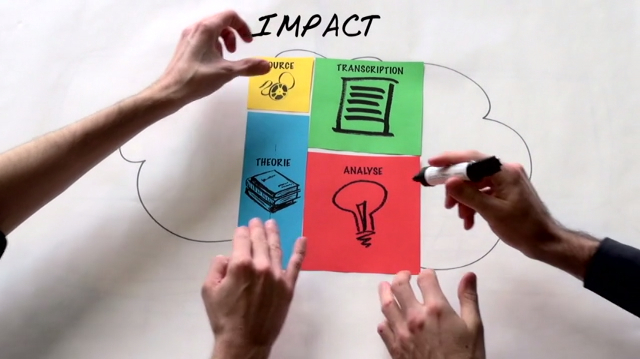 IMPACT is a techno-educational tool developed at the University of Lausanne. It is intended for teachers, researchers and students involved in the consultation, transcription and commentary of audio-visual sources. The tool is developed since 2010. In 2011, it was supported by the Fund for Pedagogical Innovation (FIP) of the University of Lausanne. Since 2012, it has been jointly funded by the Réseau Interfacultaire de Soutien Enseignement et Technologie (RISET) and by the Faculty of Arts.